Udon noodles soaked and microwaved . Make sure the liquid is piping hot, add salmon cubes (raw), the heat will cook the raw fish. 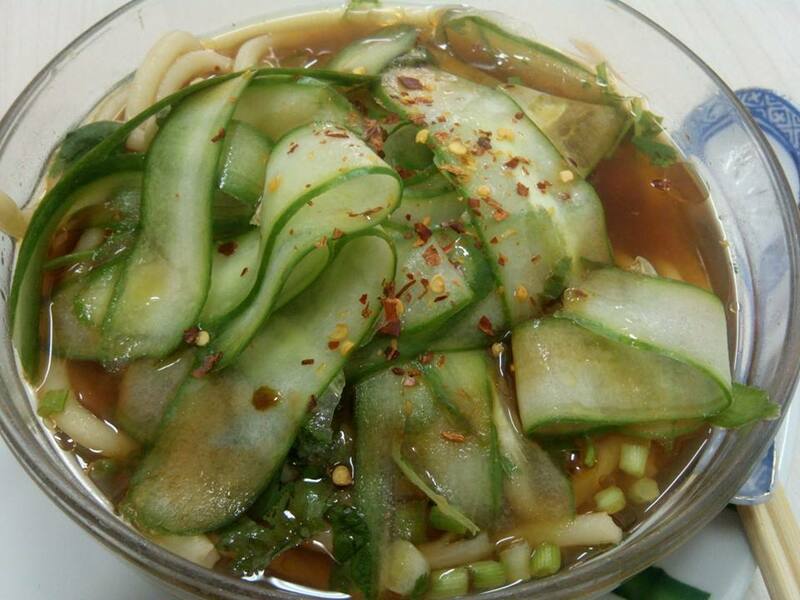 Add Cucumber slices, spring onions, seasonings ie soy sauce, sesame oil, chili flakes and lemon juice for that kick..